How best to run a football club? With big spending? With youth development? Making it up as you go along? Unless you have hundreds of millions of pounds, you’ll never have the chance to put your ideas into practice. 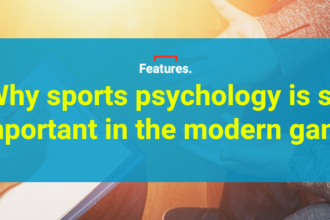 But with Football Manager becoming more realistic and more immersive every year, perhaps the game could be used as the framework for a theoretical experiment. We asked Alex Stewart to take over a club and guide it for five seasons with a strict adherence to the ideals of Moneyball…. 3. Don’t buy players who impressed at international tournaments: they’re likely to be overvalued and past performance is no indication of future performance, especially when they’re playing with a different team (pp. 22-24) – there are different incentives and a different tactical set-up at tournaments, and it’s a super small sample size. Similar to Soccernomics, The Numbers Game by Chris Anderson and David Sally, is another excellent and interesting tome on how data is used in football. This book gave me one rule that became a corner-stone to everything else I did: the theory that the best way to improve a team is by identifying and replacing the weakest links, rather than by splashing out on making the best links even better (pp. 197-222). The other idea that I liked and thus stole is that a clean sheet is worth just over two goals scored in terms of points across the course of a season (pp. 130-131). The corollary to this, then, is a focus on defence over pushing too hard for a win. It applies to the strategy behind purchasing players too: if defence is more important, it stands to reason that strikers are over-valued. It seems obvious, but in many respects this is challenging thinking for someone playing the game, who wants to buy expensive forwards and play attacking football to rack up huge wins; it may be that a more conservative approach privileging goalkeeping and defence is a longer-term guarantee of success. But who to manage? I flirted with the heady, angry melodrama of Leeds, the pathos and fragility of Sunderland, the bucolic charm and youth potential of Norwich. But then I fell in love. I found my calling, my team. And it was Bristol City. 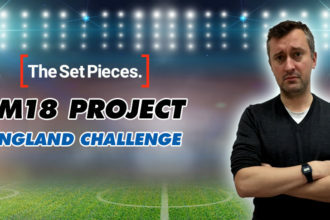 Reasonably impoverished, which adds a piquant edge to the financial side of the challenge, but boasting a number of good young attackers and a solid goalkeeper, Bristol City had everything I wanted for my challenge. Money makes the world go around. 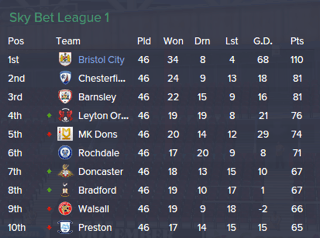 And Bristol City’s world is spinning very slowly and tottering a little on its axis. In short, we have none. The initial budgets, as set with an aim of promotion this season, leave me with £188k to spend and just under £3k per week available for wages. I can’t even adjust it as we are haemorrhaging cash and the board are concerned about FFP. Having said, that, I’m only looking to sign a keeper on a free, as we are very weak in that area if Frank Fielding gets crocked. I pick up Mateusz Taudul for nothing and £450 in wages. As rule 1 says, don’t “needlessly” splash out on new players, but if an area is seriously problematic, as goalkeeping is for the City, then it’s fine. Taudal was free anyway and I offered him a trial before snapping him up, so the wisdom of crowds was employed to watch him before he was signed. With any new club, the first key hires are always behind the scenes. A club ethos predicated on finding undervalued players or developing our own requires scouts and coaches and, often, the first request I make of my board is to increase the number of coaches allowed. Bristol City are too skint to allow that, though, so I make do. I recruit Glen Schmidt for £500 per week to help with fitness coaching, and scouts Patrick Andersson, Lee Maybury, Pat Willett, and Bobby Winkelman, for a combined £1575 per week. Fitness is the key skill in lower league football, particularly as skills tend to develop with exposure to first team football, whereas strength and aerobic fitness develop more with coaching. My scouting team now had excellent ratings for judging players, and the retention of Andersson broadened my network’s knowledge to the wonderfully ripe lands of Scandinavia, surely the most fertile area for picking up undervalued players in Europe (the former Yugoslav republics have a strong claim to this too, though, which is why with a richer club I always recruit Bojan Krkic as a scout). 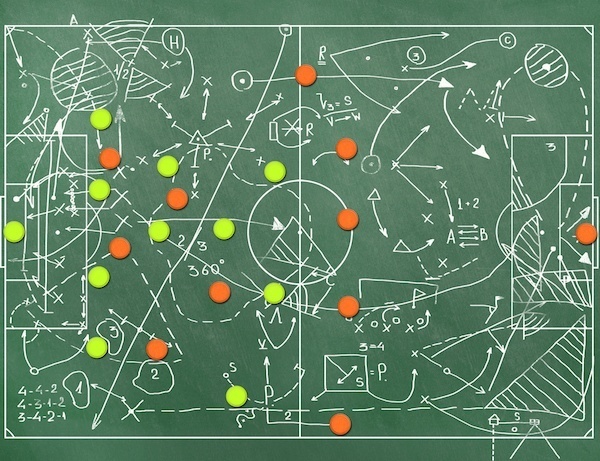 My back-room in place, I now looked at my first team squad and tried to work out how to play. I picked a fluid, high tempo, short passing 5-3-2 with wingbacks, a solid midfield that can tackle, and a front three of an advanced playmaker, the irrepressible Luke Freeman, Jay Emmanuel-Thomas as a False Nine, and Wes Burns as an advanced forward. My central centre-back of three drops to cover and plays the ball from the back. This set-up recognised that, going forwards, that front three is as good as any in League 1, but that it needs a solid base from which to play. Making defence important almost demanded a compact back five with screening midfielders; I was hoping that once the ball had transitioned rapidly through the wing-backs, the Freeman–Burns–Emmanuel-Thomas axis would do its stuff. The League opens with a 7-0 hammering of Sheffield United away and we go unbeaten in seven games, finally losing to Fleetwood 1-0 away. In the League, we are only beaten four times all season and draw eight times, including a thrilling 3-3 away at Notts County and a 4-4 away at Walsall. So much for keeping it tight at the back! The tactics work though, and I actually go through the whole season only ever using the one tactical set-up. We also beat Bradford 6-0 and Coventry 4-0 at home. The cup competitions are a disappointment, losing to Premier League opposition both times, including a staggeringly unlucky 2-1 loss away at Arsenal in extra time, and being beaten by Oldham in the final of the Johnston’s Paint Trophy, also in extra time. However, the league, surely my priority for the financial implications of success, is a non-stop Bristol City tour-de-force. We win by a landslide: 110 points and a goal difference of 68. In our last six games, with the league won and the pressure off, we still score thirteen goals, conceding only two. Our nearest challengers are Chesterfield and Barnsley, both on 81 points. The next best goal difference is MK Dons’, which is 29. Luke Freeman averages 7.47 across the season, notching up 38 assists, and is the Sky Bet League 1 Player of the Year. The tactical importance of picking, and keeping to, a system that privileges the skills of certain players while compensating for the weaknesses of others demonstrably works. The solidity of the back five (or six, including Fielding) is the platform for the rest of the team but, if I had only used a back four, the transitions would have been less swift and emphatic due to the technical limitations of the central midfield, and the defence would have been weaker and flatter. As it is, my front three looks Barcelona-like at times, and, while we score for fun, the defence keeps it very tight and functions superbly as a unit. Fielding is the best keeper in League 1, as well, which helps. 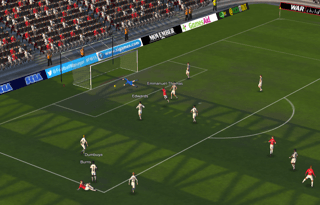 Break-out star Luke Freeman is joined in the team of the year by Fielding, defenders Flint, Williams, and Little, and striker Wes Burns, who scores an insane 34 goals. We are up! Things are looking a little rosier. Or skip ahead to the third part. No spoilers here. Ooh, there’s even a part four! We’re spoiling you now. And a fifth part! I bet you’re glad you started reading now, eh? Oh, what’s this? It’s only part six, part seven and part eight. 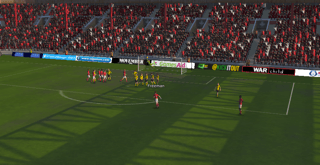 Do you legitimise your addiction to Football Manager by contriving enormous thought experiments? Do you do the same with other games? Have you ever used Civilization IV to check whether a major coastal power can build an economy on clams? Email [email protected] now or click this.